The last 6 years, Mycorfudriver has the honor to be the main partner of Corfu Buddha Hall. Every season our drivers happily welcome in Corfu airport all the visitors arranging an enjoyable and stress free transportation, direct to Buddha Hall in Arillas ! Our team remain always at your disposal, any time of the year, to book a return or a one way trip for you, by a Taxi or a Mini Van/Bus enjoying with Mycorfudriver a comfortably and completely safe transportation. Corfu Buddha Hall is a place for meditative arts. 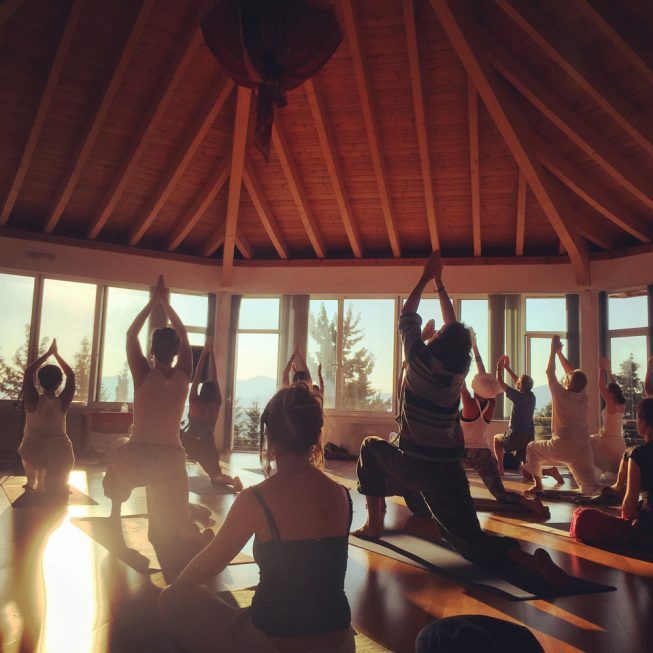 A beautiful venue set in an environment that supports and promotes conscious living. They host a wide range of workshops, events and programs on meditation, self-inquiry, body awareness, and Gurdjieff Movements. Buddha Hall was built by Vasanti and Michel as a center for Gurdjieff Sacred Dance. Inner Travel Ltd, a UK tour operator, manages the venue and organizes all its events. The company also financially sponsors many of the meditation and self-inquiry programs that take place here.